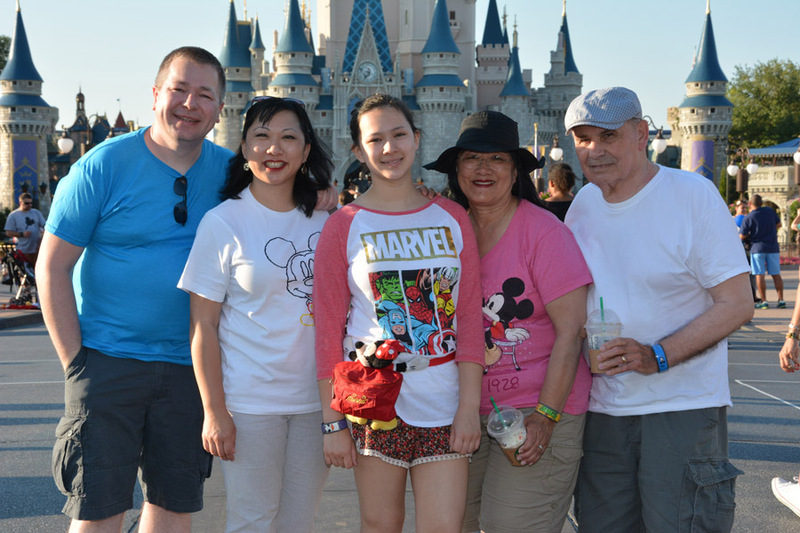 At this year’s 2016 Disney Social Media Moms Celebration, my mom and her husband joined us. I was so glad we had the 2016 Kia Sedona to get us around the area. Five adults (my daughter is adult-sized at least) squished in a compact car with humid weather in the high 90s would have been torture. 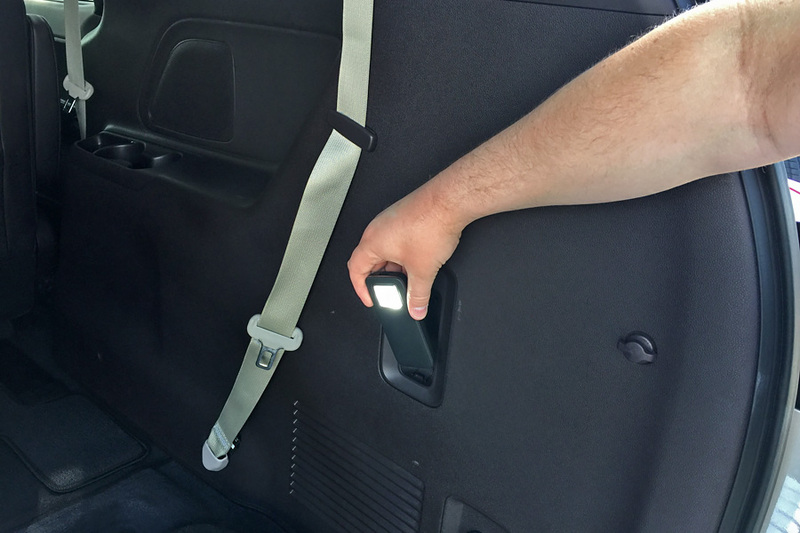 Instead, we had three-zones of blissful climate control, seats everyone could stretch out in, an emergency flashlight built into the cargo area, and plenty of USB ports to charge devices in. It is the ideal family vehicle! Aside from heat being the main reason to have a car while visiting Walt Disney World, there are others. You can get to most of Walt Disney World via Disney-run buses, monorails, and boats. But, sometimes going by car is just much easier, especially if you have little ones or seniors with you. When it was sweltering outside, my mom and her husband appreciated the curbside pickup. My mom mentioned that she did wish the Sedona had some kind of step to get in and out easier, though. Plus, since we were staying at an official Disney resort, we had free parking at all the resorts and parks. In searching for places to eat, I stumbled upon Sassagoula Floatworks and Food Factory. This counter service restaurant is inside Disney’s Port Orleans Resort – French Quarter. 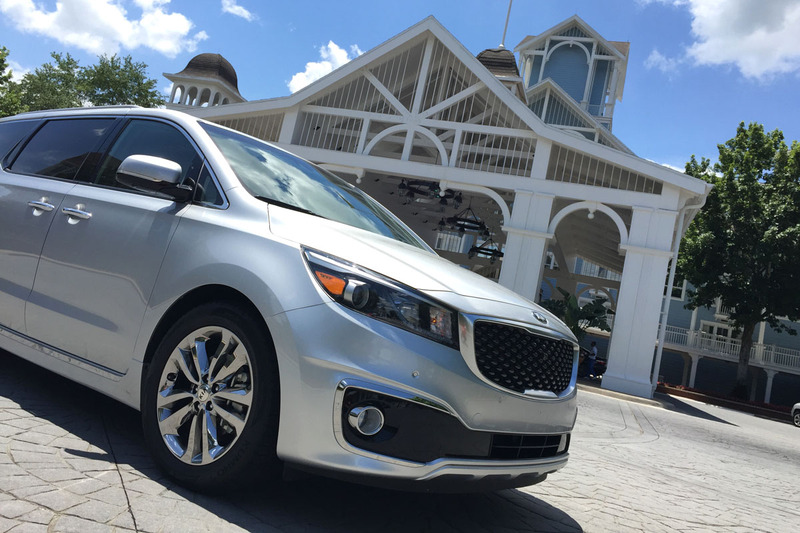 It only took a few minutes in the 2016 Kia Sedonato reach this other resort. 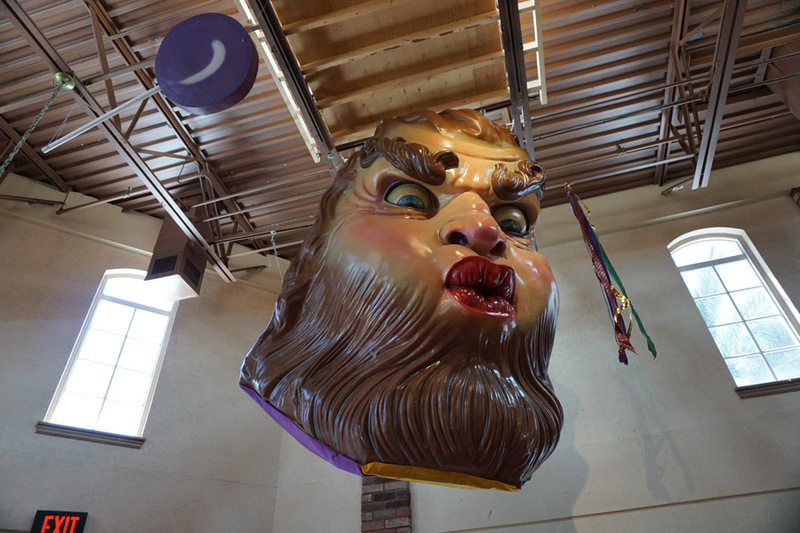 The decor is way over the top with its Mardi Gras-theming. It was pretty funny just how much the giant faces freaked Munchkin out. 😀 If we had more time, I would have liked to check out the other resorts — they’re all so unique! This is the only restaurant on-property to serve beignets. My mom loves beignets so I thought it would be a nice treat for her. The big thing, though, is that Sassagoula also offers gluten-free (no wheat and fried in a separate frier). You used to have to call ahead of time to reserve gluten-free beignets. But, since guests request them so often, these are now available without advance notice. Just make sure you ask for the chef to make sure it’s safe. As for the taste? Well, the regular ones are kind of heavy (beignets should be light and airy). The gluten-free ones are just okay but it’s nice that those with wheat/gluten allergies can eat them. 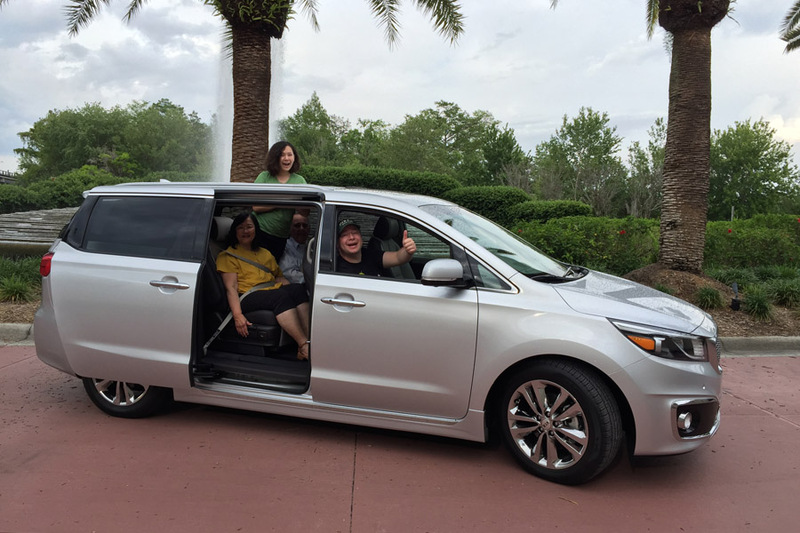 We used the 2016 Kia Sedona to get to Animal Kingdom and Magic Kingdom too. Those parks were further from our resort and it’d be a pain to deal with public transportation after walking in the parks all day. It was soooooo nice. We could even let my mom and her husband wait at the waiting area while we walked to the car and then picked them up. If only we had some DVDs with us to use the rear seat entertainment system on the way back to the Disney’s Beach Club Resort. 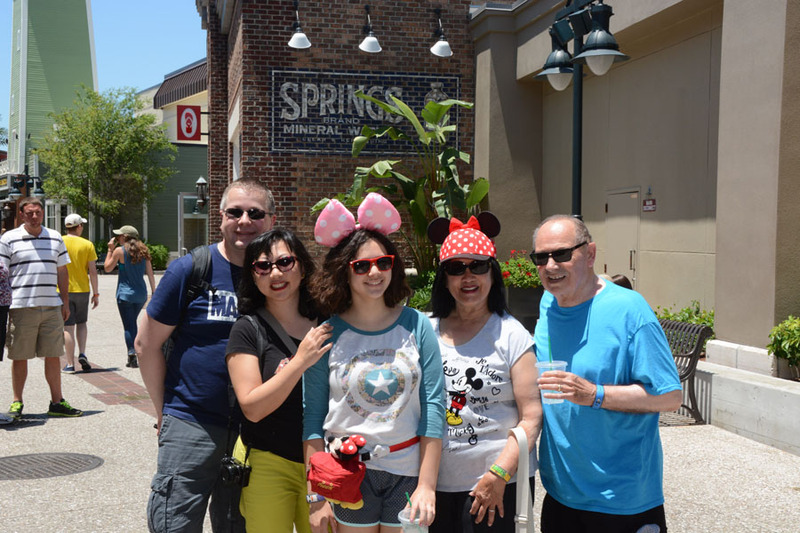 The day before we left was reserved for shopping at Disney Springs (fka Downtown Disney). Well, that and we already ordered tickets to see Captain America Civil War at the theater there. Getting into a space in the new parking structure was a breeze. Curious to know how high the rear liftgate could open, I asked Frans to stand under it. Good to know that a person 5’11” still has some clearance so they don’t bump their head on it. Having a car at Walt Disney World gives you a break from the heat and humidity, allows you to resort hop easily, can get you to the Magic Kingdom and Animal Kingdom without headache, and gives you freedom to get to Disney Springs in a jiffy. 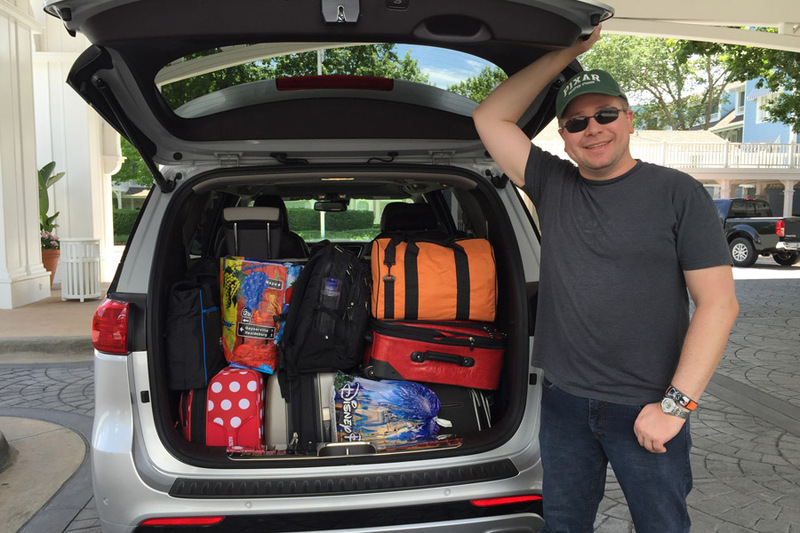 The 2016 Kia Sedona worked out so well for our trip. It is roomy, comfortable, easy to maneuver, looks slick, and is full of modern tech conveniences. Also, we had plenty of space for all our luggage, even with the third row up. I can’t wait to take this vehicle on another road trip soon!